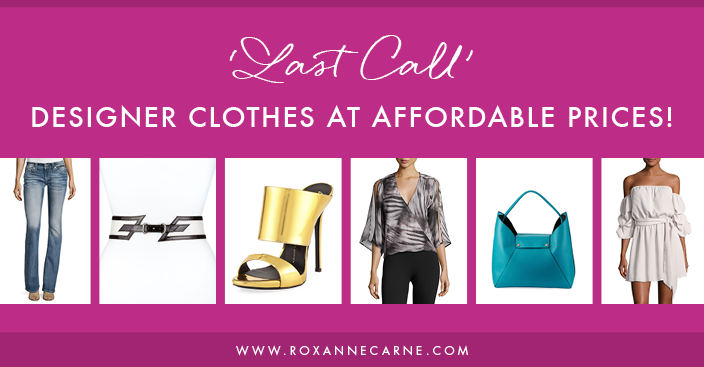 ‘Last Call’ For Designer Clothes at Affordable Prices! 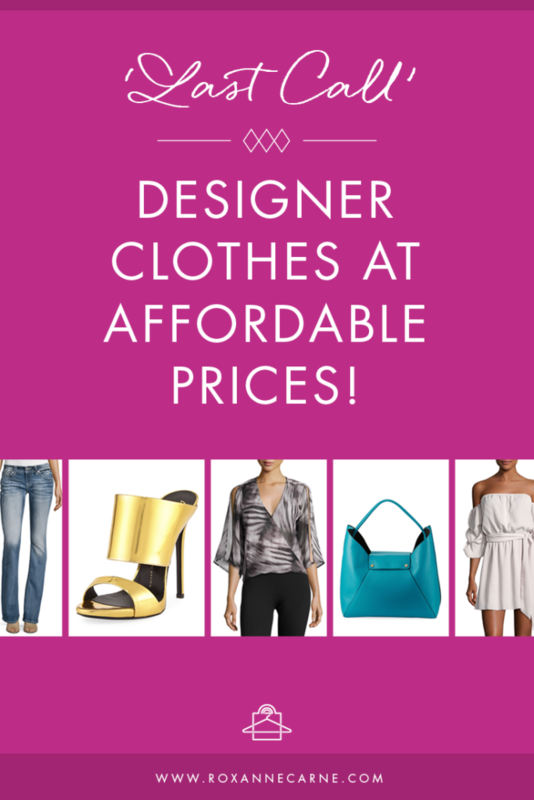 ‘Last Call' For Designer Clothes at Affordable Prices! My dear Fashionistas (and Aspiring Fashionistas! ), I’d like to make you aware of a HOT sale going on at Neiman Marcus Last Call. Starting today, they’re offering 35% off your ENTIRE purchase through 4/15/17. This limited-time sale is an awesome opportunity to save a good chunk of change on designer clothing, shoes, and accessories! If you want to add some core, quality pieces to your wardrobe, now is the time to do so – and at a bargain, too! Enjoy 35% off everything at LastCall.com! Offer valid 4/12-4/15. You'll see a mix of new spring trends such as one-shoulder and off-the-shoulder looks, along with some fabulous clearance items from our recent fall season. Scroll through my Hot Picks below to see if you find any pieces that you like. And remember, if you happen to find a look that you love, do not hesitate to buy it! Big sales like this one mean the hottest items sell very quickly. I’ve only pulled a tiny selection compared to thousands of pieces currently on sale at Last Call, so I encourage you to peruse their website and see if you can find any other great deals! 😉 There is something for everyone in women's fashion: regular size, plus-size, petite, you name it. Indulge yourself a bit – you deserve it! Also, I’d love to know which hot items you ordered – keep me in the loop on Facebook, Instagram, or Twitter! Share your favorite items on Pinterest, too! Awesome! Now check your email to confirm your subscription. If you don't see it in your inbox, please check your spam folder.